For a nothing less than incredibly stylish outfit, try pairing a grey wool suit with a black dress shirt. For something more on the daring side to complete this getup, grab a pair of black leather derby shoes. For a nothing less than incredibly stylish getup, dress in a black cardigan and black dress pants. For something more on the daring side to complete this look, make black leather derby shoes your footwear choice. 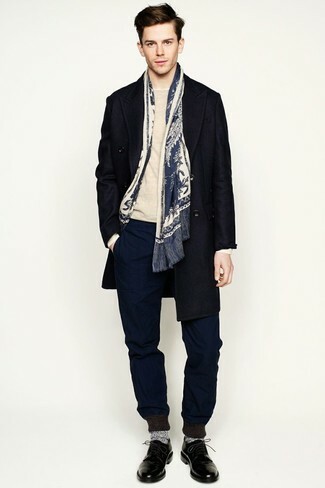 If you're after a casual yet dapper getup, go for a navy overcoat and navy sweatpants. Both pieces are totally comfortable and will look great together. Sporting a pair of Guidi lace up derby shoes is a simple way to add some flair to your ensemble. 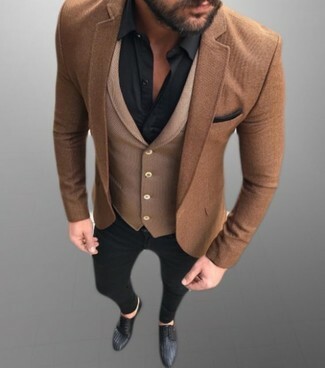 If you're on the hunt for a casual yet stylish outfit, opt for a brown wool blazer and black skinny jeans. Both garments are totally comfortable and will look great together. Add black leather derby shoes to your getup for an instant style upgrade. For functionality without the need to sacrifice on style, we love this combination of a black and white print short sleeve shirt and white shorts. 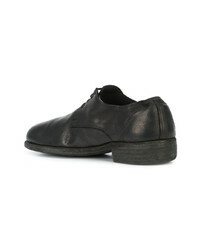 Kick up the cool of your look by finishing off with Guidi lace up derby shoes from farfetch.com. 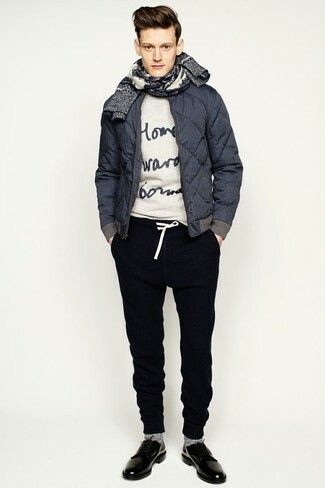 Consider pairing a navy quilted bomber jacket with navy sweatpants to be both neat and relaxed. Opt for a pair of black leather derby shoes to kick things up to the next level. Pair a black suit with a blue dress shirt for incredibly stylish attire. 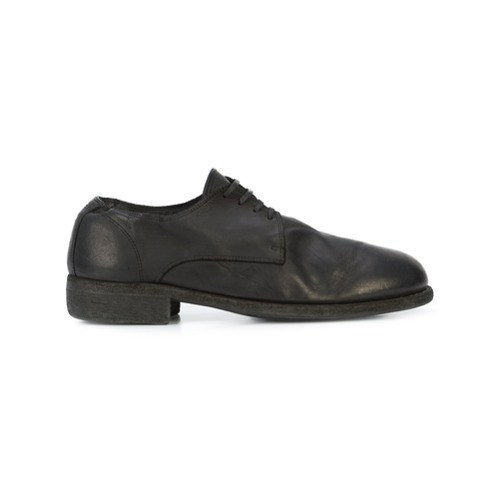 Grab a pair of black leather derby shoes for a more relaxed aesthetic. If you're scouting for a casual yet seriously stylish look, make a black leather biker jacket and black leather jeans your outfit choice. Both items are totally comfortable and will look great paired together. 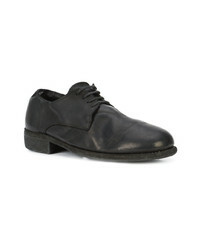 Dress up your look with black leather derby shoes. 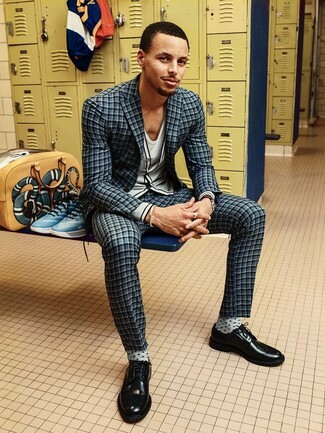 Combining a charcoal check suit with a grey cardigan is an awesome idea for a sharp and elegant look. 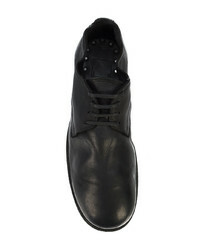 Complete this ensemble with Guidi Lace Up Derby Shoes from farfetch.com to make the look a bit classier.